It can take time to setup a store and get everything ready for launch. 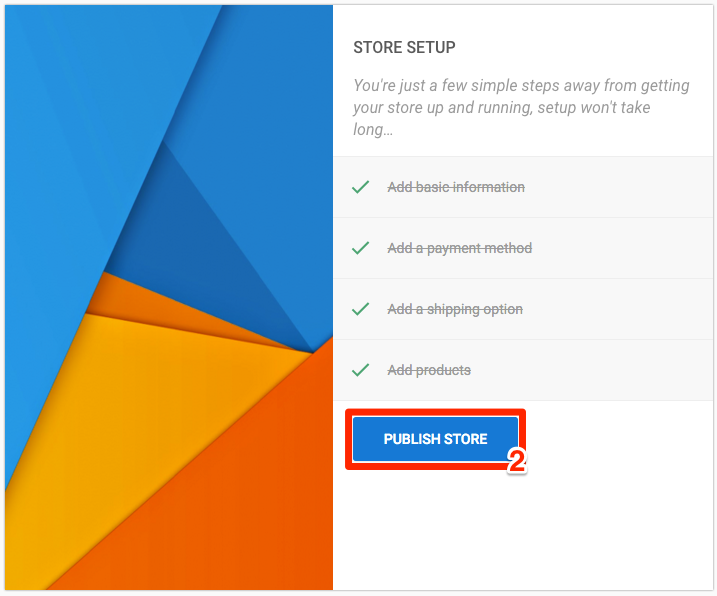 Your store will stay hidden until you click the Publish store button. 4. After you have published your store for the first time, publish your site. Once you have published your site, your store will automatically update so you don't have to republish your site every time you add a new product or make a change to an existing one. It is possible to show a specific collection of products on your site using Featured Products. This uses tags to display only the items with the chosen tag e.g. 'new', 'sale', 'seasonal' etc.